Enjoy a 10-day cruise in the lovely Balkan countries of Hungary, Serbia, Bulgaria, and Romania with a community of TourMagination travellers and tour leaders Marlin and Barb Hershey. See the incredible natural beauty along the Danube plus a sampling of art, architecture, history, and prehistory of these varied cultures. Marlin and Barb are experienced travellers and have led previous tours to Africa and Europe. They look forward to introducing you to the wonders along the Danube River. On an optional 3-night extension in Romania post-cruise, discover the wonders of the medieval city Sighișoara. Arrive in Budapest—Hungary’s captivating capital city! This afternoon, board your river cruise ship and settle in, then enjoy a dinner on board. Overnight cruise to Mohács. Today, you can choose to join a morning guided sightseeing tour of Mohács—a quiet Danube harbour town with its historical memorial parks, statues, and distinctive churches. See the remarkable medieval St. Nicholas Watermill, one of only a few remaining watermills that still produces stone–ground grain. Or you could take a guided tour of nearby Pécs to see Turkish architecture and 4th-century Christian underground tombs with fascinating murals. The Pécs option also includes an organ concert. Overnight cruise to Belgrade. This morning, attend an onboard lecture to learn about the rich history, destinations, and culture of the Balkan states. Then join a guided sightseeing tour of Belgrade, where the Danube and Sava Rivers converge. See the city’s many fascinating sights, including Saint Sava, one of the world’s largest Orthodox churches. Spend free time exploring the city on your own this afternoon on Knez Mihailova Street, Belgrade’s central pedestrian thoroughfare with many lively cafés, shops, and cultural spots. Later, enjoy live entertainment and then dinner on your ship. Or savour a traditional Bohemian dinner in the Skadarlija Quarter of Belgrade. Overnight cruise to Donji Milanova. very early phase in the development of the prehistoric culture in Europe and possibly Europe’s first city. Marvel at the ancient discoveries and artifacts, as well as the unique views the site affords of the Danube Gorge. After lunch on the ship, you’ll sail through the spectacular and narrow Iron Gates Gorge, a natural border between Serbia and Romania. Overnight cruise to Cetate. This morning if you’re feeling active, join your cruise Adventure Host for a jog along the river bank in Cetate, a small village along the Danube. 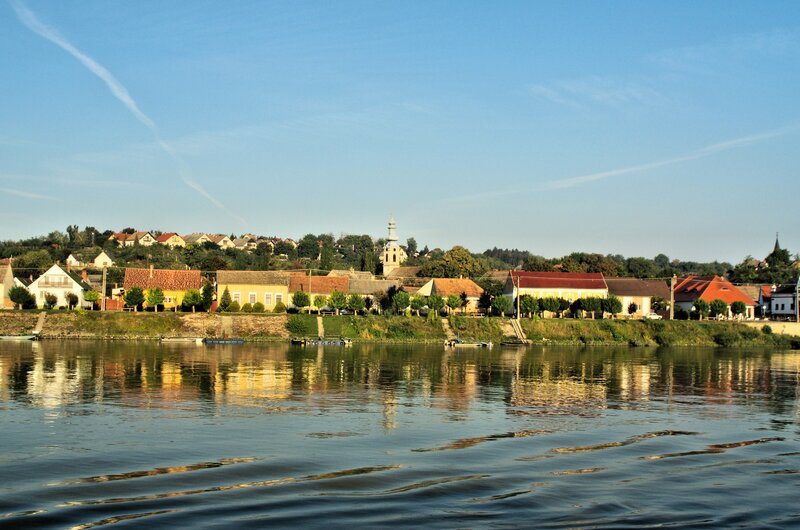 Later visit the Danube’s old grain-shipping port on a guided tour of Cetate, including tasting delicious local specialties in a picturesque spot. Sail to Vidin this afternoon. Join a guided tour to Belogradchik to see the remarkable rock formations on the western slopes of the Balkan Mountains, sculpted by 200 million years of natural elements. Evening/overnight cruise to Nikopol. Join a full-day guided tour to the former Bulgarian capital of Veliko Târnovo with its ancient stone houses clinging to the cliffs above the Yantra River. Discover one of the oldest towns in Bulgaria (circa 4300 BC), as well as the Bulgarian Revival architecture in the 15th-century town of Arbanassi. Alternatively, you could sail with the ship to Rousse, known as “Little Vienna” for its baroque and neoclassical buildings. In Rousse, join a guided sightseeing tour of Bulgaria’s largest inland port and visit its impressive Holy Trinity Church or take an afternoon jog through the park with your cruise Adventure Host. Later, enjoy live entertainment on board with a Bulgarian folklore show. Overnight cruise to Oltenita. Arrive in Oltenita and disembark your ship. Depart for home with pleasant memories of your experiences along the Danube River, or continue to explore Romania on an optional extension. Transfer from the cruise port in Oltenița to Sighișoara, a city located in the historic region of Transylvania, known for its UNESCO World Heritage designated walled Old Town. Today is dedicated to exploring Sighișoara’s well-preserved medieval Old Town on a private tour. You’ll visit the striking 14th century clock tower at the city’s main gate, the Church on the Hill with its original frescoes and gothic-style architecture, the Scholar’s Stairs, the cemetery, and more. Admire the beautiful countryside around Sighișoara as you either take a winery tour or visit local fruit farms. The rest of the day, enjoy free time to explore the city on your own and perhaps go shopping for unique local goods. Say farewell to friends old and new as you depart for home.